Margo Consultants participated in Devoxx France 2018 , the conference for Passionate Developers organized from April 18 to 20, 2018 in Paris. Discover below our report on the Tools-in-Action dedicated to the Sparkube project: Transformer Apache Spark in OLAP cube, hosted by Antoine Chambille on Wednesday, April 18th. Let’s start with a small point about OLAP. OLAP systems (for OnLine Analytical Processing) are intended to allow users to navigate intuitively in the data. This technology is based on a particular structure: The Hypercube (or multidimensional cube). But how to use this cube? The MDX (for Multidimensional Expressions) is de-facto the query language of OLAP cubes. Offered by Microsoft and subsequently adopted by a large number of OLAP solutions, this powerful language is particularly suited for cube structure, even though the learning curve may not be as fast as desired. 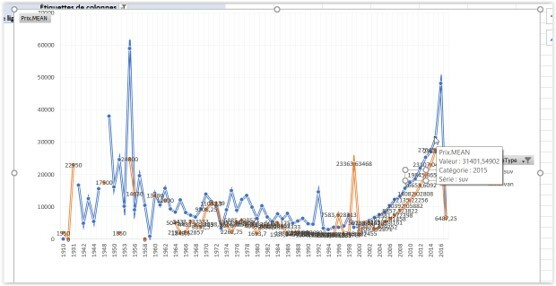 However, there is a protocol, XMLA (XML for Analysis), which allows the discovery (list of axes, measurements …) and the execution of MDX queries on an OLAP cube. Coupled with a suitable graphical interface, the user will no longer have to deal with MDX, and can generate through the interface all types of requests. The icing on the cake: Excel implements the XMLA protocol, and thus allows to connect, without any additional plugin, to all the servers that implement it. And Sparkube in all this? Sparkube is a library developed by the publisher Activeviam, capable of introspecting a Spark DataFrame, and creating an adequate OLAP cube structure. Sparkube will expose the cube on an XMLA interface. 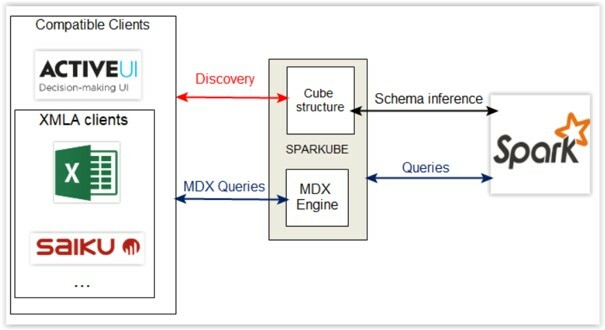 It will respond to client discovery queries, transform all MDX queries into Spark queries, and finally return the result at the end of execution. In addition to operating “as is” with Excel, Activeviam also provides its own client, Active UI. Nothing simpler, after having recovered a dataset of more than 370 000 lines for the test, we follow the instructions on the Sparkube page. We start by creating the DataSet, and then we ask Sparkube to create and expose the cube. Sparkube responds that the cube is well exposed on http: // localhost: 9090 / xmla. And here we are, we can start exploring. The tests are performed on a dataset of more than 370,000 rows, of 20 columns. 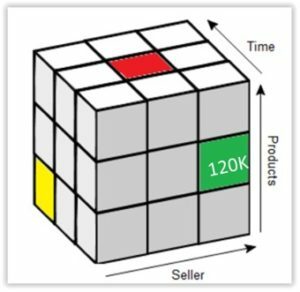 The construction of the cube lasts about 3 minutes, and the request response time is between 2 and 5 seconds. Sparkube certainly does not offer all the flexibility and performance of solutions specifically designed for OLAP. These solutions can in particular pre-aggregate and index all the points of the cube, they profit from particular hardware architectures (NUMA for example) and are mainly based on a horizontal scalability to limit the network exchanges (and to allow very powerful nonlinear aggregations) . However, the project remains very promising, and the ability to prove concepts as easily with very good performance on reasonable sizes demonstrates the interest of OLAP for users. For the moment, the page of Sparkube does not contain enough information, but it is interesting to follow the evolution of this project! Watch the video of the conference hosted by Antoine Chambille : Sparkube Transformer Apache Spark project in OLAP cube.